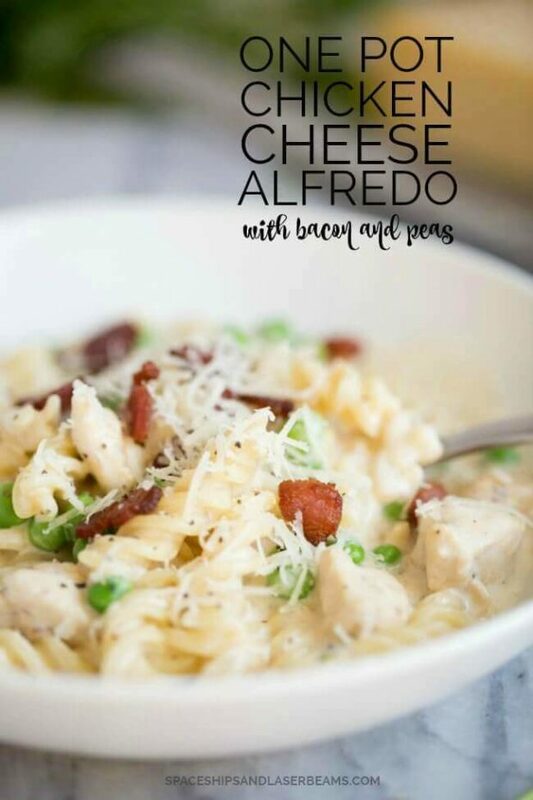 Try this delicious one-pot Chicken Cheese Alfredo! I thought I was in the kitchen by myself when I took a taste-test bite of my Chicken Cheese Alfredo and let out a satisfied “That’s Italian!” But I wasn’t. My youngest was there and demanded a bite, too. What’s a mama to do? I shared! And Shay immediately grinned and parroted, “That’s Italian!” Then he wanted to know what Italian meant. Sponsored post written by me on behalf of DaVinci Pasta. The opinions and text are all mine. I’m always on the look-out for delicious, easy meals I feel good about serving my three growing boys. True to the cliché, they eat a lot. I just didn’t expect they would be such pick-y eaters. 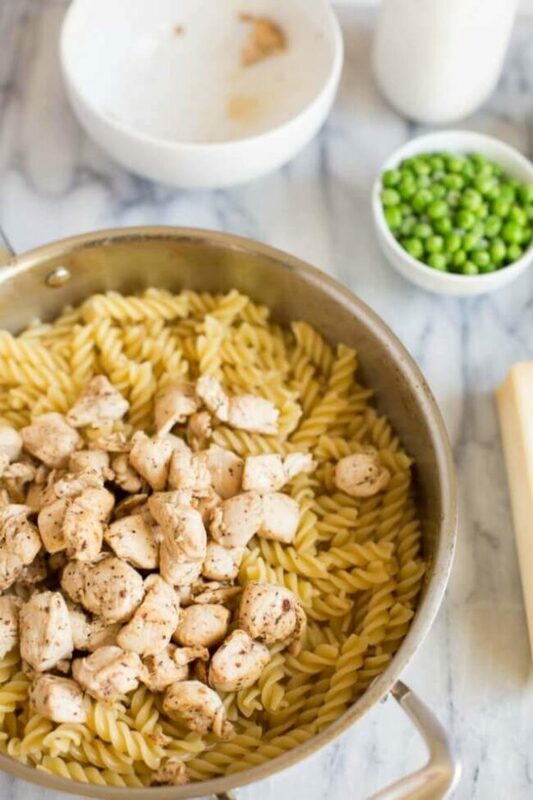 This one-pot Chicken Cheese Alfredo is a winner on all fronts! 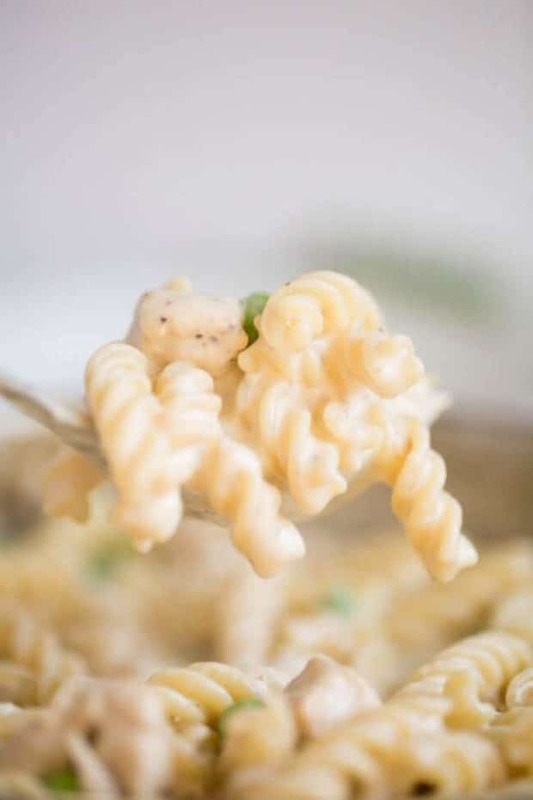 The creamy, cheese-y sauce is divine with DaVinci Pasta Twists. I really like how the pasta swirls capture the sauce and still keep that satisfying pasta texture—there’s none of that over-cooked mush that happens with some pasta. 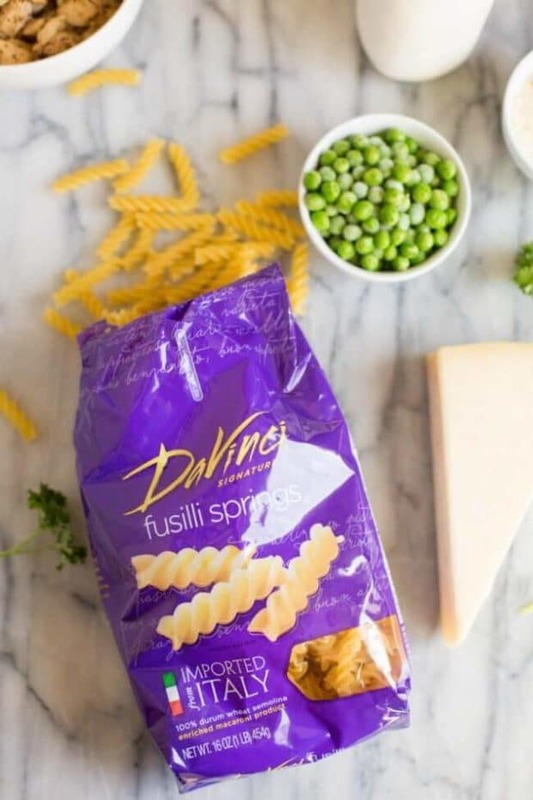 DaVinci pasta is really Italian pasta, made in Italy with the finest ingredients. Discerning mamas can taste the difference. 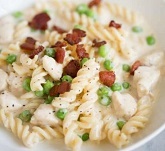 It’s the perfect base for any pasta dish, including this Chicken Cheese Alfredo. All my guys like chicken and I used pepper bacon to add a little extra kick of flavor. Half and half, a splash of white wine, and chicken broth add dimension to the taste, too, and make it easy to include veggies—in this case, peas. And Parmesan does its magic. Because. Cheese. Comfort food in minutes leaves extra time for table talk. And little guys always have lots to say. They also have lots of questions. At least my boys do. Especially Shay. 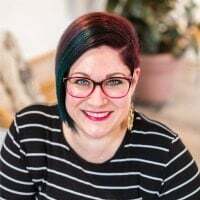 So I had more to explain about, “That’s Italian,” and I launched into a little geography lesson which included how different people eat different kinds of food. And I talked about how Alfredo sauce was supposedly first made by a man whose name was really Alfredo. He made a pasta dish with a creamy, buttery sauce to entice his wife to eat, after giving birth to their first son. Then I had to define entice. “Coax, persuade, tempt,” I said. And Shay wisely stated I’d never have to entice him to eat Italian Chicken Cheese Alfredo. He promised to always volunteer! 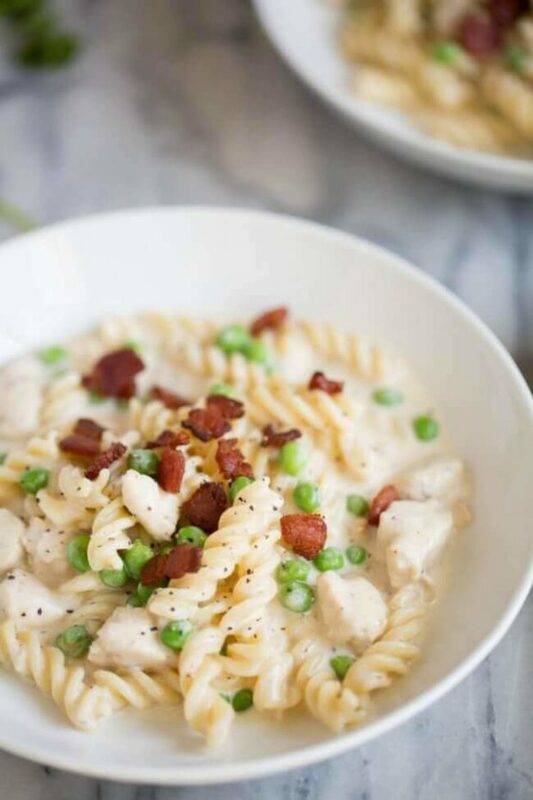 This delicious and easy One Pot Chicken Cheese Alfredo with Bacon and Peas recipe comes together perfectly! In a medium sauce pan, cook pepper bacon until brown and crispy. Remove from pan; set on paper towel to drain. Drain all bacon fat from pan except one tablespoon. 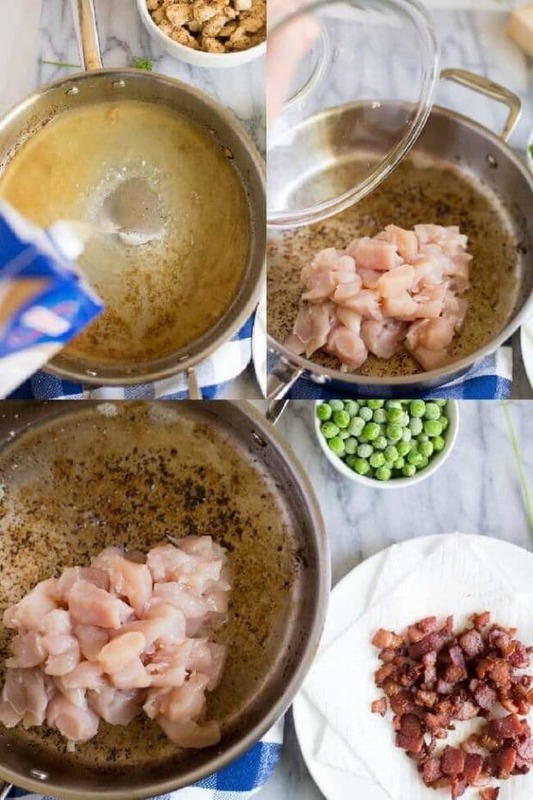 Cook chicken in bacon grease until brown and just slightly under cooked, about three to four minutes. 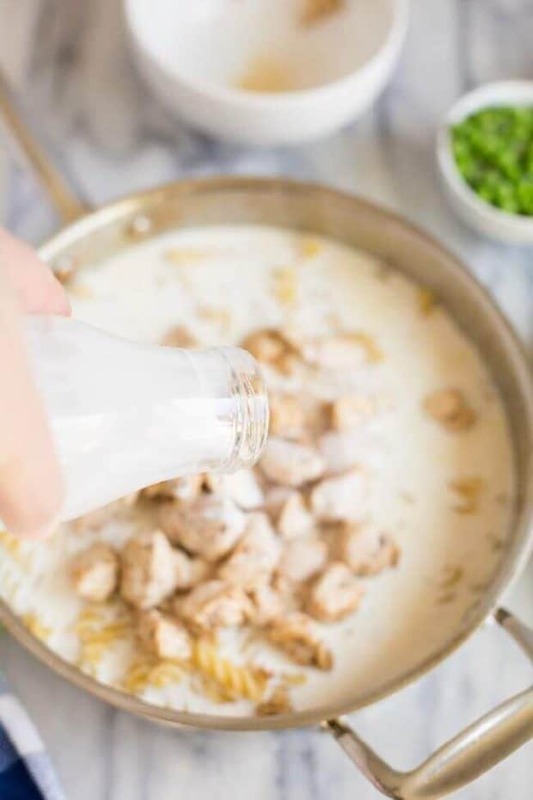 Remove chicken from pan; place in a bowl. Set aside. Pour chicken broth and white wine in the pan and bring to a boil. Stir in dry pasta; cook until liquid has reduced by half and pasta is halfway done. Pour in half and half; return chicken to the pan. Bring to a low simmer and cook until pasta and chicken are thoroughly cooked. Stir in peas and Parmesan cheese. Simmer for another minute or two; turn off heat. Let set for three to four minutes to allow sauce to thicken and peas to warm. Garnish with bacon and fresh Parmesan. This recipe is so amazing. I made it, and it was gone so fast! My family devoured it! 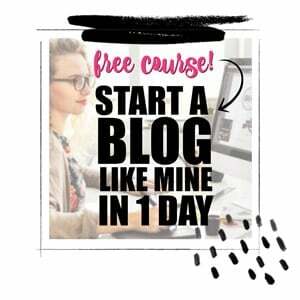 Me and my friends love this recipe!